Matomo — previously known as Piwik — is a free and open source alternative to Google Analytics. 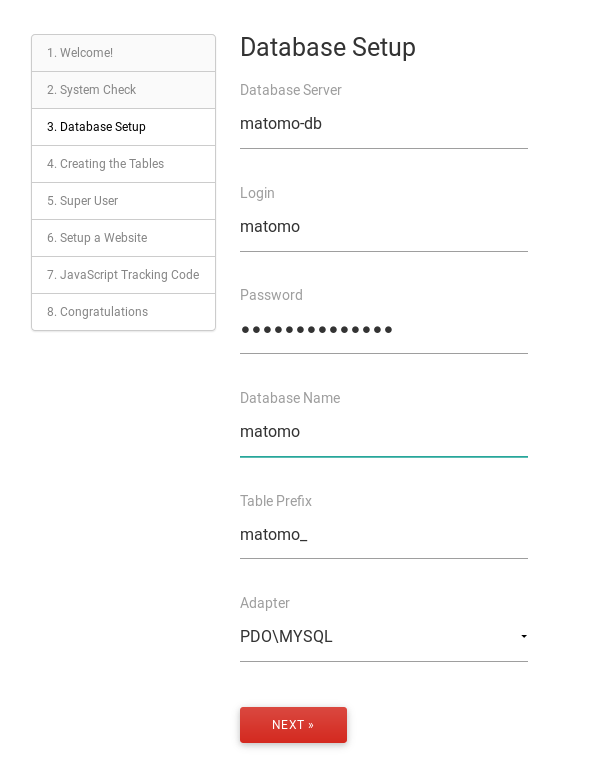 Self-host your own Matomo server to take control of your data! In 5 minutes you’ll have Matomo running with Docker, Let’s Encrypt SSL certificates (via Traefik), and automatic updates. Have a cup of tea! Matomo will be ready in 5 minutes. If you’re using your own domain, do that first before going through the setup wizard. Follow the steps below to Use your own domain, Enable SSL/TLS and Enable outgoing email. Configure your own domain as per the previous step. All domains you list in MATOMO_DOMAINS must point to your server (via DNS records) for this to work. This is optional, but without it you’ll have less accurate location data on your visitors. The last command above tells you which version you’ve installed. Look inside /var/lib/GeoIP. There should be some files with .mmdb extension. 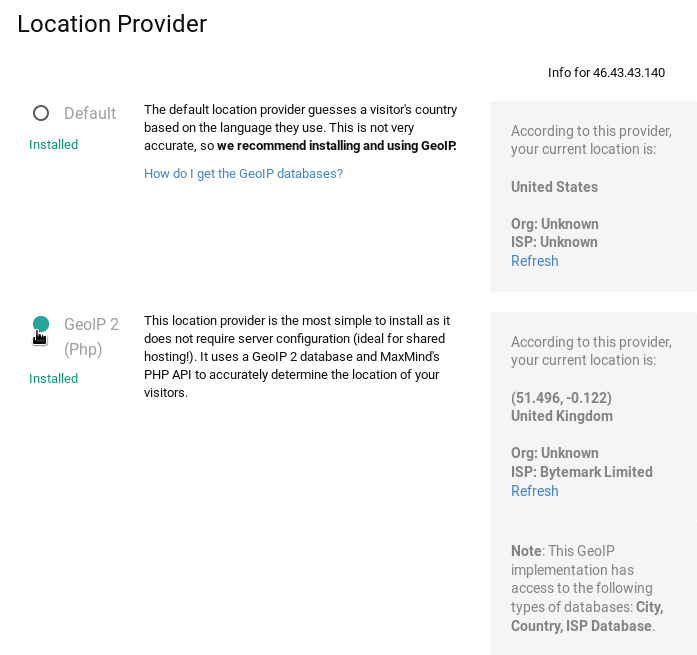 It’s possible your IP may not show up correctly if you’re connecting from certain IPv6 addresses. Inside /root/compose you’ll find all the configuration files, which are taken from our Git repository. Feel free to browse around or adapt those configuration files to your needs. Traefik acts as a reverse proxy, listening on ports 80 and 443 and passing web traffic to the appropriate container based on rules you decide (eg, based on the URL). If domains are properly configured, it automatically retrieves Let’s Encrypt SSL certificates for you. Watchtower automatically updates your containers to the latest version. This keeps you secure. phpMyAdmin gives you access to view, modify and retrieve your database. For security, the phpMyAdmin dashboard is behind a browser login prompt using “admin” user and the password inside /root/compose/auth-password.txt. You can find the database “root” user password inside the /root/compose/.env file. Our configuration installs a custom php.ini file, as some of PHP’s default settings are too restrictive and tend to cause headaches. 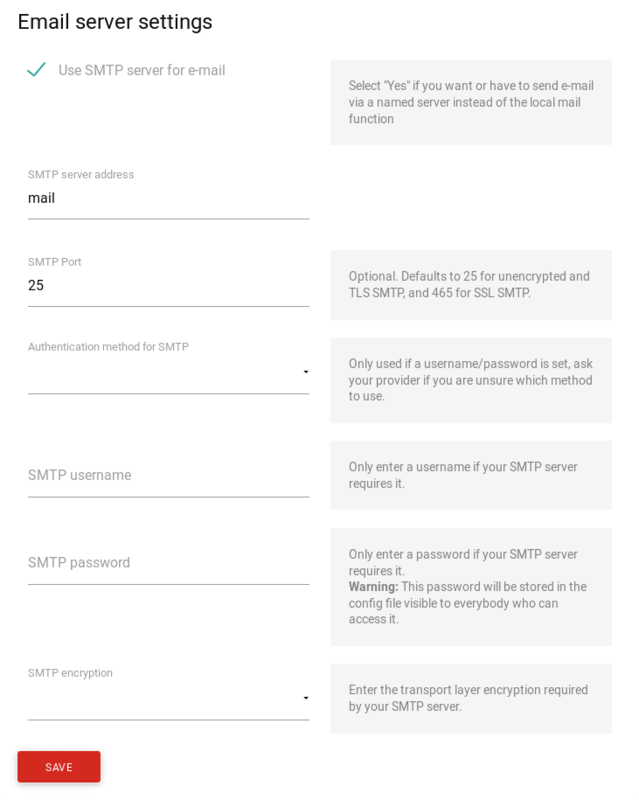 Our bytemark/smtp image allows your Matomo server to send outgoing emails if needed (eg, password resets).